All the feels — sometimes we have ‘em. Two things help: Noticing patterns in your emotions and reaching out to people you trust who care. Mood Ring will help you do both so you can feel like your best self. Track your feelings, get weekly Emotion Reports, and reach out when you need to talk. Designed and developed by teens at Youth Radio! -Mood Ring puts the power of your feelings into your own hands. 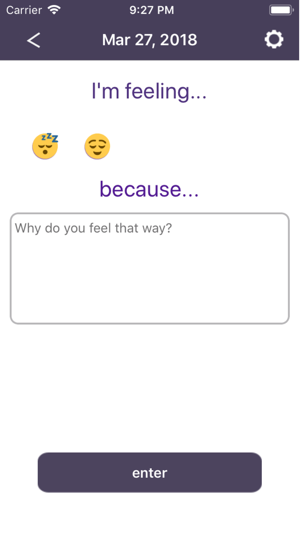 -Choose emojis to track a combination of feelings. -Reflect on how you’ve been feeling and what’s been going on with you. 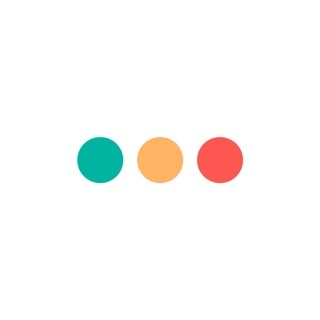 -See how you've been feeling, and connect with people you know can help you feel better when you're down. -Emotion Reports are confidential and only stored on your phone - it's up to you who you share them with! 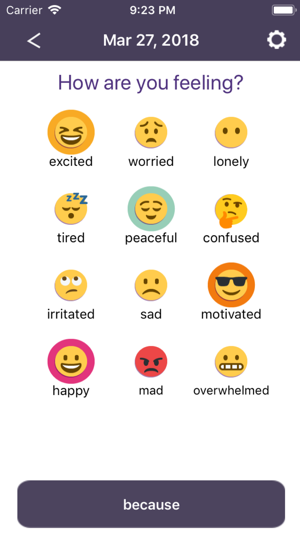 Mood Ring was created by Youth Radio in partnership with MIT App Inventor, supported in part by the National Science Foundation and Kaiser Permanente Northern California Community Benefit Programs. - The emotion statistic doesn’t reset which was kind of annoying personally, I think it would be better if you could like make a tracker and you can go back to certain days, see the statistics for the week/month/year etc. I think this is and AMAZING app. I struggle with this sort of thing, since feelings are hard to place for me. Only thing that would make it better is more emotions. I and others get stressed and anxious a ton and there’s not an option for that, besides overwhelmed which is a little more extreme. 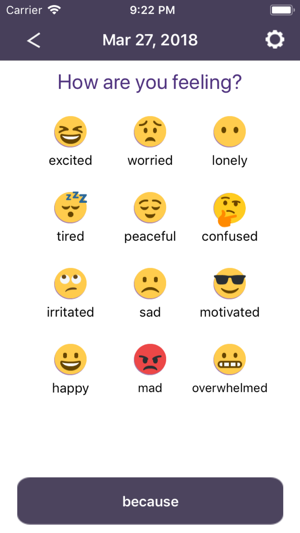 I read a comment about matching your own emoji’s from the keyboard with your emotion and I think that’s even a good idea, if you guys wanted to add that instead of the thousands of emotions one can feel. Also, I wish there was an edit option for previous notes for the emoticons. Great app though. I appreciate the resource tab a lot during times of distress. 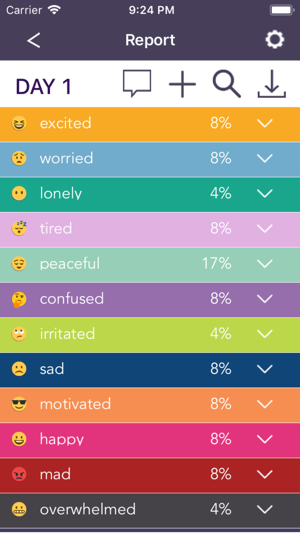 I also really like that there’s a percentage that tracks your moods encouraging more self awareness. If peace is high I can go back and look at what I did that makes me feel more so, and vice versa with worried or anger for instance. I wish there was an edit feature. I accidentally hit submit on an unfinished feeling description where I had a lot more to write to reflect back on later. I did not want to add another feeling submission to throw off the percentage.